Rewind to last September when we hiked the Teton Crest Trail as our honeymoon. The Tetons were amazing, but our exploring didn’t stop there. We drove north into Canada to sample their slice of the Rockies. When we arrived in Banff National Park, it was cold, raining, and clouds hid the enormous mountains we suspected were all around us. The good news was that the bad weather made other people depart early, and we were able to score a vacated campsite at Two Jack Lakeside campground. We set up camp. With several hours left in the day we wanted to stretch our legs and go on a hike. Johnston Canyon seemed a good choice because the clouds wouldn’t affect the experience. Just steps from the trailhead, we found ourselves on a boardwalk, dangling over the canyon edge. The water, turquoise blue due to its glacial origins, rushed by below. After an easy and scenic three quarters of a mile, we reached Johnston Canyon Lower Falls. The trail presented many vantage points of the falls, including a small tunnel. We ducked through to experience an up close and personal view of the waterfall as it thundered down, spraying our faces with mist. The trail climbed as it followed Johnston Creek upwards. A raven, probably begging for food, perched near the trail. It was cool to observe this huge bird at close proximity. A short side trail led to the base of the hundred-foot Upper Falls. The power of water is evident in places like this, where the constant flow is carving a canyon out of solid rock. We continued on, winding our way to the top of the Upper Falls. Looking down, the falls seemed encircled by rock. A closer look emphasizes the contrasting textures of water and rock. A short walk beyond revealed yet another waterfall. It was much smaller, but just as lovely. The trail continued another two miles to reach the Ink Pots, but we turned back to grab some dinner and warm up in town. On our walk back the sun started to peek through the clouds. 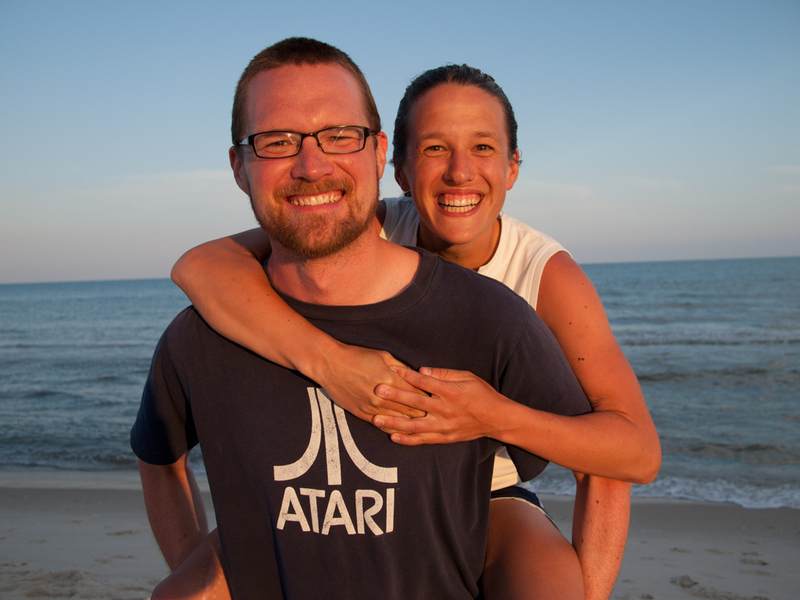 We hoped for cloudless skies and views of mountains tomorrow. 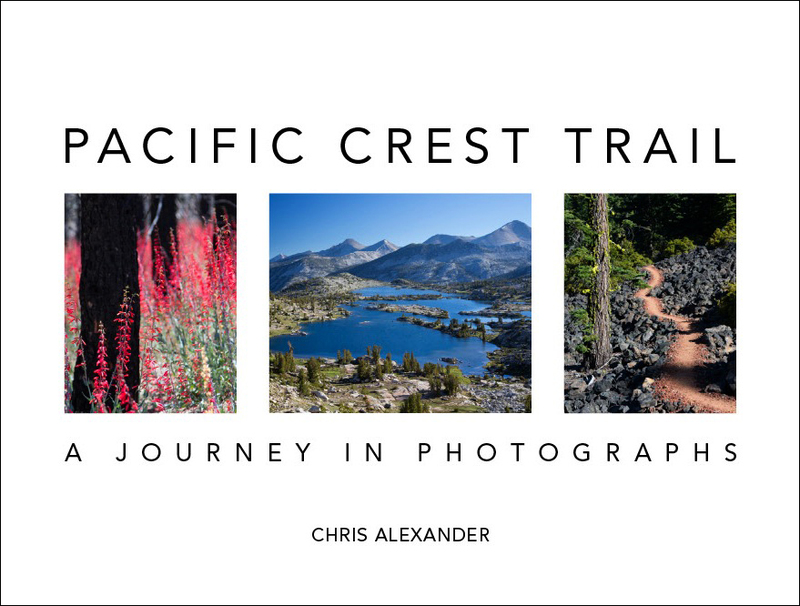 We also wanted to share that our book, Pacific Crest Trail: A Journey in Photographs is now available in the Pacific Crest Trail Association’s online store. If you’re outside the United States, they will ship internationally. Plus, you get a discount if you’re a PCTA member! How wonderful to hear more about your adventures. These are remarkably beautiful photographs. Thank you so much!